National organization dedicated to the prevention, diagnosis, treatment, and control of lyme disease and other tick-borne infections. The foundation supports critical scientific research and plays a key role in providing reliable and scientifically accurate information about tick-borne diseases. Children with Lyme disease almost invariably have a positive Lyme titer and a positive Western blot (see Chapter 22). In addition, they have elevated ESRs and white blood cell counts. While the elevated white blood cell count and ESR are commonly present in children with polyarticular-onset arthritis, they are infrequent in children with pauciarticular-onset disease. Some children with Lyme disease have positive tests for antinuclear antibody (ANA). They should not have rheumatoid factor (RF), antibodies to double-stranded DNA, or complement abnormalities. The Lyme titer and Western blot are the standard tests other tests exist but are not as reliable. While a child with a high suspicion for Lyme disease and a positive ELISA but negative Western blot may deserve two weeks of antibiotics, if symptoms persist it is unwise to continue treatment. Such children need a complete and thorough evaluation for other possible causes of their symptoms. National nonprofit organization created to advance research, treatment, prevention, and public awareness of Lyme Disease throughout the United States. Public and professional education are a major focus of the foundation. The group offers a toll-free information number and an established national physician referral system. In addition, members produce educational videos for both the elementary and junior high school levels. 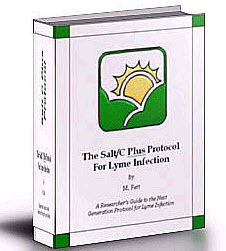 For more information, contact the American Lyme Disease Foundation, Inc., Mill Pond Offices, 293 Route 100, Suite 204, Somers, NY 10589 telephone (914) 277-6970 or (800) 876-LYME fax (914) 277-6974. Babesiosis (babesiasis) A rare, sometimes fatal disease caused by a tick-borne virus similar to both lyme disease and human granulocytic ehrlichiosis (HGE). Also known as Nantucket fever, it is most often seen in the elderly and those with impaired immune systems. Severe cases have been diagnosed in those who have had their spleen removed. The most common infectious agents that cause these forms of arthritis are bacteria (shigella, salmonella, neisseria, and chlamydia) and viruses (especially parvovirus B19). The arthritis associated with Lyme disease is also a form of infection-associated arthritis. Mild and brief arthritis following a variety of infections is very common. Once the episode has passed, most children recover completely. A typical episode of infection-associated arthritis resolves in three to six weeks. However, some children develop arthritis that lasts for a longer period. If the arthritis persists for a year or more, then it is considered arthritis that was initiated by an infection, but it is no longer considered reactive or infection-associated arthritis. An infection causing a rash similar to that produced by lyme disease affecting residents in southeastern and south central United States. Southern tick-associated rash illness (STARI) is associated with the bite of the lone star tick (Amblyomma americanum). These ticks are found through the southeast and south central states. Even though spirochetes have been seen in A. americanum ticks, attempts to culture them in the laboratory have consistently failed. However, a spirochete has been detected in A. americanum by DNA analysis and was given the name Borrelia lonestari. Not all communicable diseases must be reported, since they are not all considered to be a danger to society. Some diseases which must be reported include bacterial meningitis, aids, food poisoning, measles, hepatitis, rabies, lyme disease, syphilis, malaria, and tuberculosis. Infectious diseases produce passive acu-reflex points. Lyme disease is perhaps the most prevalent of the infectious diseases associated with myofascial pain. 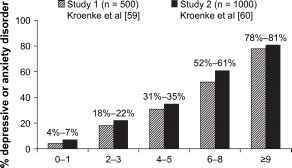 In some patients, intractable widespread muscle pain and chronic fatigue have been positively associated with Lyme disease (in which elevated immunoglobulin G titers and normal immuno-globulin M titers are indicative of past, not recent, exposure). Some affected patients develop joint pain. Post-Lyme disease syndrome is characterized by diffuse joint and muscle pain, fatigue, and subjective cognitive difficulty.13 Other infectious or parasitic diseases also manifest as widespread pain and resemble Lyme disease. The biological and social phenomenon of Lyme disease, Science 260(June 11,1993) 1610-16. Barthold, S. W. Antigenic stability of borrelia burgdorferi during chronic infections of immunocompetent mice, Infection and Immunity 61 12(Dec. 1993) 4955-61. Fikrig, E. Barthold, et al. Protection of mice against the Lyme disease agent by immunizing with recombinant OSPA, Science 250(0ct. 26,1990) 553-56. Kantor, Fred S. Disarming Lyme disease, Scientific American 271 3(September 1994) 34-39. Babesiosis (babesiasis) A rare, occasionally fatal, disease caused by a tick-borne microorganism similar to both LYME DISEASE and human granulocytic ehrlichiosis (HGE). Also known as Nantucket Fever, it is most often seen in the elderly and those with impaired immune systems. Severe cases have been diagnosed in those who have had their spleen removed prior to exposure. borrelia See RELAPSING FEVER. Borrelia burgdorferi A species of large parasitic spirochete bacteria (in the genus Borrelia) that cause LYME DISEASE. The species B. dut-tonii, B. persica, and B. recurrentis cause RELAPSING FEVER. Any tick can be accurately identified and tested for the presence of the bacteria that cause Lyme disease (Borrelia burgdorferi) at the Tick Research Lab. Tick identification takes only a few minutes. Testing ticks for the presence of Lyme disease spirochetes can also be done with any tick, alive or dead, at any stage of development. Some experts say that some patients with fibromyalgia may have been previously infected with viruses such as the Epstein-Barr virus (a common virus that causes infectious mononucleosis), human immunodeficiency virus (HIV), parvovirus, or Lyme disease (a tick-borne illness that was originally discovered in Lyme, Connecticut). In the case of Lyme disease patients who develop FMS, their fibromyalgia symptoms typically don't improve with the normal antibiotic regimen that's prescribed for Lyme disease. The fluid removed is subjected to a number of tests, including measurements of protein and sugar. For the cell count, less than 5,000 cells is considered normal. A cell count of 5,000 to 50,000 is consistent with arthritis but can also be seen with Lyme disease and irritation of the joint. A count of 50,000 to 100,000 may indicate arthritis, Lyme disease, or an infection. More than 100,000 cells indicates probable infection. When pauciarticular-onset arthritis flares up in a child, he or she should be carefully reinvestigated to exclude other problems. Children may develop Lyme disease, bone infections, or other problems that at first look like a recurrence of the JA. If other problems have been excluded but the child does not respond quickly to reintroducing NSAIDs, he or she probably did not have true pauci-articular-onset arthritis. There are a variety of infections that may damage the spine. Fortunately, none of them is common in childhood. Staphylococcal bacteria are common causes of infections that may affect the bones of the spine. Tuberculosis can also affect the bones of the spine (in which case it is sometimes called Potts' disease). Bacterial infections of the spine are usually very painful. They are easily diagnosed by either X-rays or bone scans (Chapter 22). Despite many claims to the contrary, back pain in children is not a result of Lyme disease. In fact, research does suggest that a minority of people who develop viral diseases, which can include Lyme disease, Epstein-Barr (HHV-4), Herpes Lymphotropic Virus (HHV-6), Coxsackie B, Parvovirus, Hepatitis C, and HIV, may later go on to develop FM or CFIDS. Many people on the East Coast of the United States have been diagnosed with post-Lyme disease syndrome based on a positive blood test for Epstein-Barr. While the suffering of these patients is real, the diagnosis is now in question. Ongoing NIH-funded research suggests that many patients who have been treated at Lyme disease clinics may actually have FM, especially since multiple rounds of antibiotics and antiviral medication have failed to improve symptoms or physical functioning in these individuals. Regardless, the mechanism of how viruses may trigger FM in genetically higher-risk individuals merits further investigation. Although infections of the various structures of the ear might well be expected to affect hearing and thus trigger tinnitus, infections of locations remote to the ear can do the same. 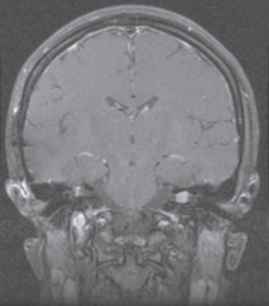 Meningitides can cause tinnitus, as can Bell's palsy. Syphilis (Chapter 15) can affect the labyrinth as well as the rest of the nervous system. Finally, it is curious that Lyme disease can have a hearing manifestation. As described above under endocrine disorders with Addison's disease, hyperacusis is associated with tinnitus and with Lyme disease. Fallon (11) reports that 48 of their cohort of Lyme disease had hyperacusis.